Pradosham is every 13th Moon and provides a grace period in which extreme karma busting can happen. Soma Pradosham or pradosham that falls on a Monday is considered particularly powerful to remove karmic mental afflictions. The Goddess of the Mind The ruler or "overlord" of the Moon is Shiva's consort, Parvati. Pradosham is every 13th Moon and provides a grace period in which extreme karma busting can happen. Soma Pradosham or pradosham that falls on a Monday is considered particularly powerful to remove karmic mental afflictions. The ruler or "overlord" of the Moon is Shiva's consort, Parvati. She is the source of creative energy and is a dynamic extension of Shiva onto this universe. The Moon controls emotions and mentality. To master your mind you must first dissolve your karmas. Karmas are thoughts, deeds and actions which are stored in your permanent records or your energetic signature. Once cleared Shakti or powerful energy represented by the Goddess, can flow uninterrupted into all aspects of your life. 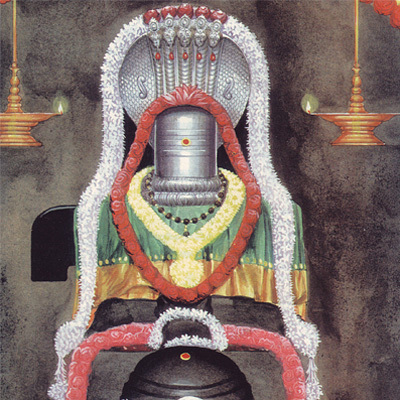 Lord Shiva is shown wearing the crescent moon in his hair. The waxing and waning of the Moon reveals the time cycle through which creation evolves from the beginning to the end. Lord Shiva has mastered time symbolizing the Eternal Reality beyond time. Pradosham times are the windows of opportunity to remove Karma or karmic energies that limit our potential in this current life. Be in a meditative mode during pradosham time and use the powerful chant of "Thiru Neela Kantam" Participate in this powerful Abhishekam to remove your Karma or Karmic energies. You will receive sacred grey ash (Vibhuti) energized in the rituals. Keep this on your meditation altar and wear on your forehead during meditation or other times and expand the beneficial energies in your life. Please Note: The prasad will be shipped from Chennai, India, after the event; please allow 15-21 days to deliver.